Silent discos are all the rage in the rave communities. The Heights Music Hop Silent Disco worked with us to provide portable restrooms for their groovy dance party. With over 100 attendees expected, event organizers knew they needed plenty of porta potties. 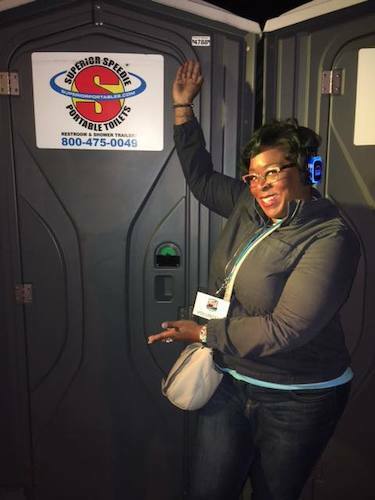 Our experienced team worked with the Heights Music Hop crew to determine the correct amount of portable toilets were provided and they were conveniently placed. We dropped off the porta potties before the event and picked them up the day after. Interested in renting portable toilets for your next party or event? Contact Superior Portables today!